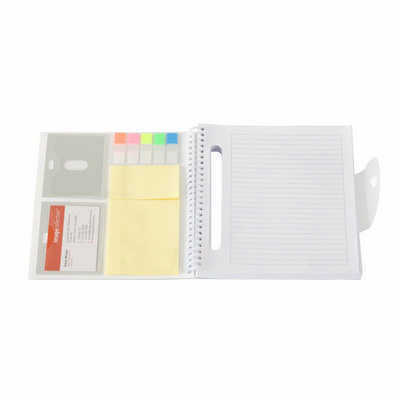 A5 size notebook includes: 2 adhesive notepads, coloured sticky note flags and 2 business card pockets. Supplied in polybag. Colours: Clear, Dimension: 212mm H x 182mm W. Price includes : 3 Day Service* Pad Print - One Colour/Location. Setup is included.